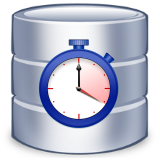 Displaying dates and times with different formats in TSQL is a task I run into quite a bit. I used to visit this page so many times, I'm surprised it doesn't have a "Welcome back, Dave!" banner on it at the top. Back in 2017 before SQL Server 2017 reached its GA release, I wrote a post about installing multiple instances of SSRS on the same host. I used SQL Server 2017 RC2 to do my testing and provide some screen shots. But by the time the GA release of SQL 2017 arrived, the SSRS installation was decoupled from the main SQL Server installation package (much like SSMS 2017). I'd gotten a few questions and comments in the post asking about the "new" SSRS 2017 installation. I'll try to address that here, based on some brief installation testing. 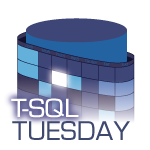 For T-SQL Tuesday #98, Arun Sirpal (b|t) asks us to write about a time when we faced a technical challenge that we overcame. Thanks for asking, Arun!